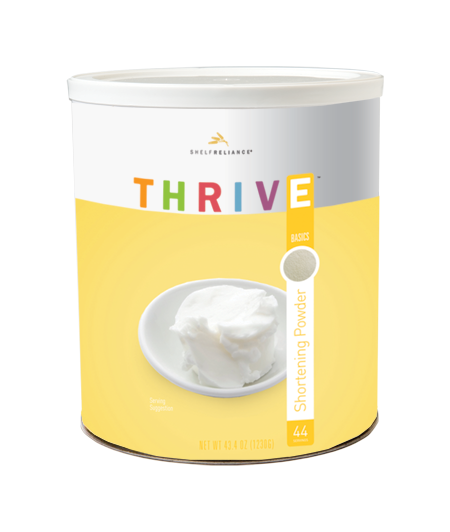 Thrive Shortening Powder can give a pleasant, crumbly texture to tarts, muffins, and many kinds of breads. When used in place of butter, shortening provides added shelf life in your favorite homemade recipes. Add 1/4 cup water to 1 cup Shortening Powder and mix until smooth. Use reconstituted Shortening Powder in baking just like you would regular shortening. It's often used to make pastries and crusts.